Programs and activities undertaken since 2007 have allowed UTEN to take full advantage of, and consolidate, the emerging network of Portuguese technology transfer offices. Business development activities have accelerated the global commercialization of Portuguese science and technology. Since the start of the UTEN program in March 2007, a key strategy has been to deliver technology transfer and commercialization training for international markets using Portuguese S&T. This approach has numerous advantages as it applies UTEN staff effort aUTENst real cases to learn key issues and challenges faced by Portuguese technology transfer offices, and to impart knowledge to Portuguese professionals in a manner that maximizes their future ability to adapt and apply that knowledge in real world situations. For these professionals, participating in internship-based technology assessments helps place learning in context, while it results in work that contributes directly to productivity. This use of “living cases” implies implementing training processes at a grass roots level while simultaneously building positive relationships and trust with TTOs. It also promotes UTEN’s interest beyond generic training, toward the larger goal of making an overall impact on Portuguese technology transfer and commercialization activities. UT Austin’s UTEN staff members now hold intimate knowledge of the Portuguese technology transfer and commercialization ecosystem, including deep networks and personal relationships with senior administrators, key front line staff, and thought leaders throughout the country. So far, more than 150 technologies from Portuguese institutions and companies have been entered into a UTEN database that is available in a national portfolio. Ninety-two technologies have been assessed, primarily from Portuguese public universities, with many recent assessments performed independently by Portuguese TTOs. Infrastructure is in place that would automatically grow the national portfolio based on local assessment efforts in TTOs. Twelve Portuguese institutions have received S&T assessment training for their technology transfer staffs. In some cases, university researchers were also trained to help them better understand commercialization issues. Broad outreach was performed at Days of Innovation 2009, where training sessions drew a combined audience of over 100 technology transfer officers and researchers all interested in TT and commercialization issues. Overall, UTEN has promoted a series of specialized training activities that have accelerated the development of a professional network of technology transfer professionals in Portugal. 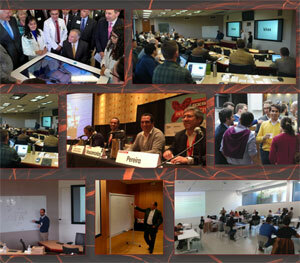 Between 2007 and 2010, UTEN organized more than 50 specialized training sessions and networking events both in Portugal and in the United States, with the involvement of more than 1500 participants. Furthermore, more than 30 TTO staff members had the opportunity to spend time in Texas under the umbrella of the international internships program, and more than 100 technology-based startups have been screened towards business development and landing pad possibilities in the U.S. market. A survey of the TTOs conducted in 2011 showed that during the period 2007-2010 there was a 49% increase of invention disclosures within universities, a 1,900% increase of universities’ provisional patents, and a growth of 19.6% in patents granted per year. Also, the TTOs reported a 26% increase of university-executed licenses and agreements per year during the same period, as well as a 137% rise in licensing income at universities. There was also a 132% increase in new academic spinoff projects, and within those academic startups the annual growth rate in revenue has been 127%. Moreover, 37% of those early stage companies were already exporting products and services with a 38% annual growth rate in hiring skilled personnel. In 2011, the IC2 Institute funded a separate, but complementary pilot program, US Connect. Its purpose is to help startup ventures make the transition to global markets, primarily by closing business deals in the United States. US Connect focuses on university spinoffs that have demonstrated success in domestic markets, but have yet to expand into global markets. From a two stage selection process with many applications received, five companies were selected for focused business development effort. US Connect developed, in collaboration with each company, marketing strategy and marketing materials to support US outreach efforts. In addition, all companies reaching Stage 1 were introduced to a select set of North American companies that may have need or fit for the Portuguese technology or product. For example, continuing efforts by US Connect for Technophage, in spite of not reaching Stage 2, resulted in a manufacturing proof of concept agreement (at no cost to Technohage – a $100,000 value) with a US contract manufacturing organization and in person meetings with Eli Lilly, Imclone. Stage 2 companies have experienced significant business traction, although to a greater or lesser degree, depending on the company. Early in Stage 2, WS Energia acknowledged that it was not ready to support international business deals after understanding the requirements through meetings arranged by US Connect. It will continue to build its technology and business platform to re-engage the US market in the next year. Inovapotek was subject to a broad email and phone campaign. Several leads were engaged in business discussions are ongoing. Tecla Colorida was guided through several in-school pilots in the US UTENing feedback, measuring business model and developing a more focused strategy. Bioalvo has been introduced to leading pharmaceutical, cosmeceutical and cosmetic companies in the US. In a trip planned for early May, Bioalvo has met with eight companies in four days and closed its first deal ever in the US with AlphaVektor for new lead product discovery. In January 2012, a flagship accomplishment was achieved when FeedZai, a Portuguese company incubated at IPN, became the first company accepted into the Austin Technology Incubator. ATI accepts approximately 6% of all applicants, a fact that confirms Portugal’s capacity to create world-class science and technology that leads to commercial application. Further, US Connect has introduced FeedZai to more than 10 potential partners, including IBM and Dell. From these introductions, two business deals have emerged solidifying the role of the US subsidiary in the further of the FeedZai business.